Arvada West Lock & Key is a registered trade name in the State of Colorado and the Arvada West Lock & Key Logo is copyrighted. You agree that all content and materials available on our Site are protected by rights of publicity, copyright, trademarks, service marks, patents, trade secrets or other proprietary rights and laws. 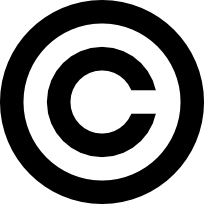 Except as expressly authorized by us, you agree not to sell, license, rent, modify, distribute, copy, reproduce, transmit, publicly display, publicly perform, publish, adapt, edit or create derivative works from materials or content available on our Site. Notwithstanding the above, you may use the content and materials on our Site in the course of your normal, personal, non-commercial and commercial use of our Service. You agree not to systematically retrieve data or other content or any materials from our Site to create or compile, directly or indirectly, a collection, compilation, database, directory or the like, whether by manual methods, through the use of "bots" or otherwise. You agree not to use of any of our trademarks as metatags on other web sites. You agree not to display any of our Site in a frame (or any of our content via in-line links) without our express written permission, which may be requested by contacting us at webmaster(AT)arvadawestlock(DOT)com. You may, however, establish ordinary links to the fully qualified domain name (FQDN) of our Site without our written permission. YOU AGREE THAT WE WILL NOT BE LIABLE FOR ANY DIRECT, INDIRECT, INCIDENTAL, SPECIAL, CONSEQUENTIAL OR EXEMPLARY DAMAGES (EVEN IF WE HAVE BEEN ADVISED OF THE POSSIBILITY OF SUCH DAMAGES), ARISING FROM, RELATING TO OR CONNECTED WITH: (A) THE USE OR INABILITY TO USE OUR SERVICE, (B) THE COST OF REPLACEMENT OF ANY GOODS, SERVICES OR INFORMATION PURCHASED OR OBTAINED AS A RESULT OF ANY INFORMATION OBTAINED FROM OR TRANSACTIONS ENTERED INTO THROUGH OR FROM OUR SERVICE, (C) DISCLOSURE OF, UNAUTHORIZED ACCESS TO OR ALTERATION OF CONTENT, (D) STATEMENTS, CONDUCT OR OMISSIONS OF ANY SERVICE PROVIDERS OR OTHER THIRD PARTY ON OUR SERVICE OR (E) ANY OTHER MATTER ARISING FROM, RELATING TO OR CONNECTED WITH OUR SERVICE OR THESE TERMS.